Knowledge Base > Broadband > My ADSL has slowed and is dropping out! 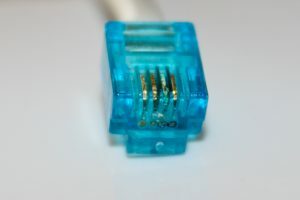 With ADSL, the quality of the copper and the connections between the premises and the port at the exchange is the variable. You just don’t know how it is going to perform until you are connected. And it may vary periodically. This is the problem with using copper that was originally only designed for voice use all those years ago. And is partially why the new NBN project has been rolling out across Australia – to attempt to improve broadband speeds and accessibility. Unfortunately the Australian Government did a U-turn and instead of laying fibre to the premises, they are now using the final length of copper from the node or curb to the premises therefore there still may be copper related issues with NBN FTTN and FTTC/FTTdp connections! Factors that can and will affect the ADSL signal. – Coastal areas are often affected by corrosion issues. Even the tiniest speck of corrosion or dirt on a contact in a wall socket, filter, or lead can dramatically affect speed and also cause dropouts. See that corroded contact in the photo below? Speed dropped from around 10Mbps to <1Mbps overnight because of that! With that in mind…think of your wall sockets and length copper line to the exchange and apply the potential corrosion/dirt problem. Yep! – A definite hiss or crackle or no dial tone on your line will most definitely mean your ADSL signal is either dead, or badly affected. If this is the case then you need to lodge a fault with your phone provider. The Voice signal travelling down the copper line is not as sensitive as the ADSL signal. You could have a clear sounding line, but there is an issue somewhere that is messing around with the ADSL signal! ADSL issues require a thorough troubleshooting process and nothing can be overlooked. Above all be patient and ensure you and your service provider are thorough and systematic with the troubleshooting process.